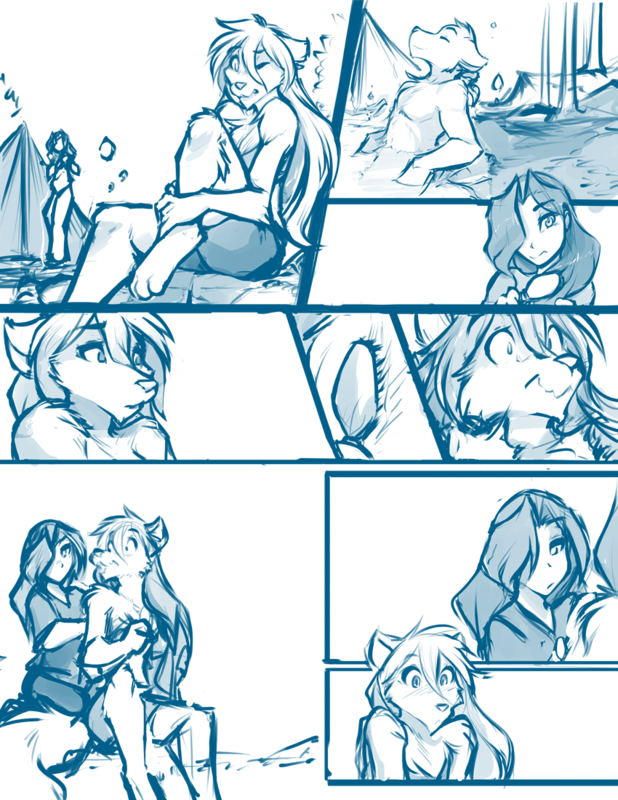 950: Personal Attention - Twokinds - 15 Years on the Net! Raine: Ow! I wish my shoes still fit. How do Keidran stand walking barefoot all the time? Sythe: You get used to it. Aaah~! But I must admit, it’s nice to take a load off. Maren: Ugh. I don’t know if I’ll ever get used to it. It’s still so strange to see you this way, with all that… fur. Raine: Maren! W-what are you doing? Maren: Brushing you. Your fur is tangled and matted all over. You clearly don’t know how to care for it. Don’t take this the wrong way, but I used to have a dog I groomed all the time. Maren: Dishevelled fur is kind of a pet-peeve of mine. It’s why I try to avoid looking at Sythe. Sythe: You know you love it! Maren: So hold still and let me know if this hurts. Raine: N-no… This… this is nice.